The Answer is Obvious- You can Rely on Hosted VoIP! As VoIP is such a new technology, you may wonder how reliable it is. Communication is key to any business, so it must be reliable. Most companies rely on multiple forms of communication, including telephones, email, web services, and more, but some others simply just rely on VoIP. Of all these communication types, phone calls demand the highest level of instant interaction, and any delay or trouble with a phone call is noticed more quickly. So call quality and reliability of your phone service are critical. 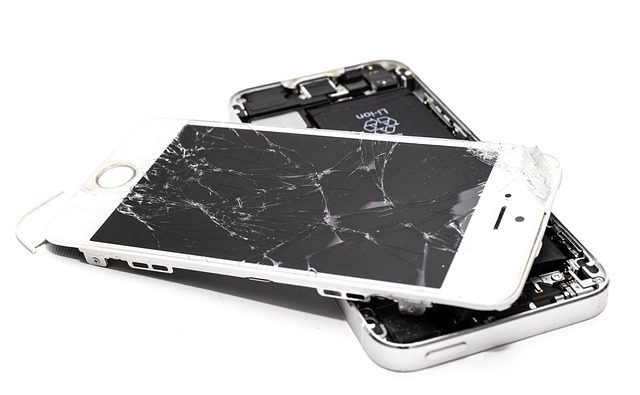 A major interruption in service can greatly impact a company’s performance and have far-reaching consequences and even poor call quality reflects negatively on your business. Inconsistent or unreliable phone service is simply unacceptable. So, if you are considering switching from a traditional phone service to a VoIP phone service, you may wonder if you really can just rely on VoIP. Simply put, today, VoIP can be extremely reliable. VoIP has been around long enough for all the big issues to be worked out. With a good VoIP provider and solid internet service, problems such as latency, jitter, static, and dropped calls have been eliminated. Interestingly, the reasons some people worry about using VoIP – sound quality, dropped calls, intermittent loss of service – are the same concerns that afflicted the original PSTN (Public Switched Telephone Network) phone system. PSTN quality has continued to improve over its many years of use, and old-style analog phone systems using copper wires for connection have become the standard for call quality. VoIP is still undergoing important changes, but by selecting the right VoIP provider, you can already get quality and reliability that rivals analog connectivity. VoIP communication services are progressing and evolving faster than ever and the issues associated with VoIP are quickly becoming a thing of the past. In fact, now VoIP telephone service can be even more reliable than traditional telephone service and provide better features at a lower price. VoIP telephones will often work in situations when traditional telephone services won’t. Suppose, for example, that you need to work from both home and office. With VoIP, you can have service anywhere you have an internet connection. So even if you loose internet connection in your home or office, you can make and receive phone calls from any internet connection anywhere, whether you take calls on your desktop VoIP phone or a softphone on your computer or smart phone. And the internet itself is very reliable. It has built in redundancy, routing packets around any failing links. The biggest reliability issue will be with your own Internet Service Provider (ISP), so you’ll want to select a provider that has a solid reputation for reliability. To check your current service, you can run our VoIP Test and see the bandwidth, jitter, latency, and packet loss associated with your current connection.. In addition, the sound quality of a VoIP call can be as good if not better than a call made through traditional landline services. This is because with VoIP, your voice breaks down to a digital form, which can be exactly reproduced at the other end of the call, unlike with landlines which can inject noise or lose strength over distance. The real question in VoIP reliability may be in your choice of VoIP provider. You’ll want to choose a company with a strong reputation for reliability, and know what they do to make sure your phone system stays up and running, all the time. VirtualPBX has taken all the precautions to ensure you will have the most reliable VoIP service available. Our service runs in a secure, hardened data facility that is part of our national infrastructure. It has many sources of power, carriers, and lines, including primaries and multiple backups in each area. In addition, we’ve built the whole system with reliability in mind. Every component has multiple backups and redundancy. So if a component fails, your calls are not affected. In most cases, over half of our equipment could fail and you’d still get your calls. This is one of the reasons Virtual PBX is so well known for its reliability and quality. For more information and to get started to rely on VoIP yourself, check out the Quality and Reliability page of our website.